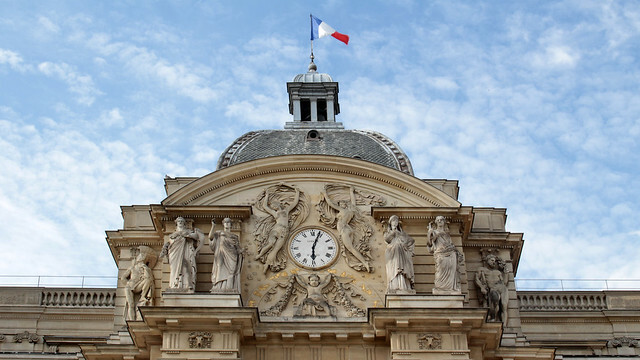 2 Jul: I pass by the Sénat on a weekly basis, sometimes on my way to work, other times when we go on a walk (or indeed to jog) at the Jardin du Luxembourg. I keep on telling myself I should find the opportunity to visit it, but it’s not exactly open on a day-to-day basis for random visitors. There is a chance at least once a year, during the Journées du Patrimoine, but I still haven’t yet seize the opportunity in the last couple of years that I’ve been living here. And this year the visit seems unlikely either… Next year maybe? 3 Jul: Last month, for a couple of weeks, the Petit Palais hosted an exhibition of works from the finalists of the Prix Canson 2013, which recognises outstanding paper-related works by an emerging artist. 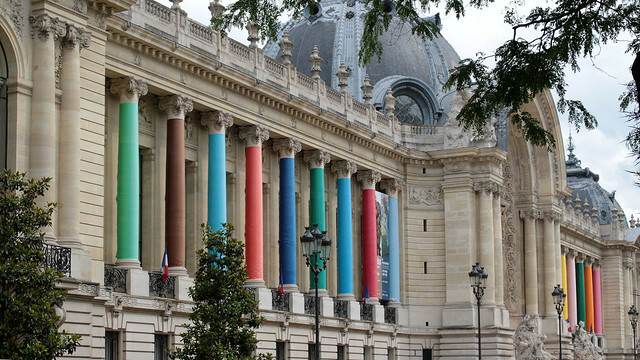 In conjunction with this special event, colourful papers courtesy of Canson are wrapped around the columns of the Petit Palais beautifully. A bit like a box of colour pencils really. This little dressing up will stay for the summer, providing just more splashes of colour to brighten the days! 4 Jul: This is a very particular “street art”. Enivrez-vous, according to F, is a term usually associated with inebriated state due to alcohol consumption. 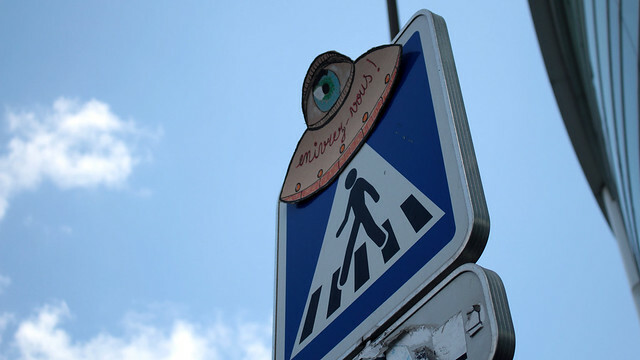 Here, however, we have an eye out of an UFO. I’ll have to extrapolate things on my own here, and the way I’m guessing it, this could be a reference to the governmental big brother attitude in observing its citizens, and they are drunk with the power that they have to spy into every little aspects of everyone’s life. Unless you have an alternative idea as to how to interpret this little work? 5 Jul: I have a lunch date with F today near his new office. 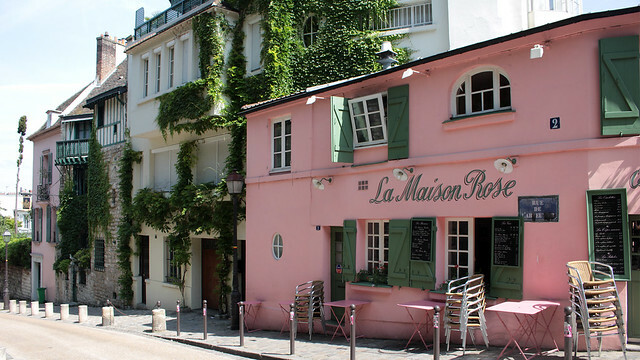 They have just recently relocated to a quay of the Seine that’s within a short walk away from the Eiffel Tower. I took the opportunity post-lunch to leisurely head home and to take some photos too. 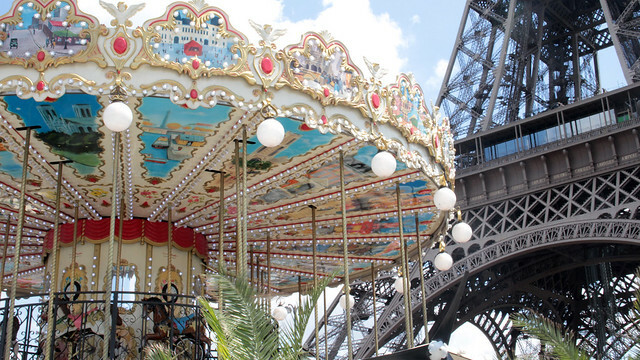 Seeing the carrousel reminds me of F’s god-daughter who loves riding the merry-go-round and sometimes would get very upset if she’s told that it’s time to leave. I believe her parents learned the hard way to seriously negotiate with her prior to the rides so she knows exactly how many rounds she can go on. Tough one. 6 Jul: Ouff, after a morning of treasure hunt under the hot sun (no, I’m not complaining about the heat), the girls and I figured we deserved an ice cream break. 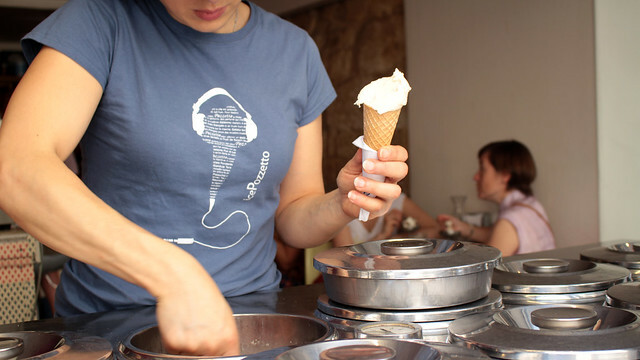 We went to our favourites, Pozzetto, so we can pick up some nice gelato before heading over to the steps of St Gervais to sit down and enjoy our cones/cup. I had selected a cone of fruity sorbet for this time round, mixing between peach, melon and lemon. They were good. Very good. 7 Jul: I’m not a fouineuse but I do get rather curious whenever I spot a flea market that I could not resist taking a quick walk-by to see what are being traded out on the assigned street space. When I saw this contraption from afar, I thought it was an ancient weighing scale or something. 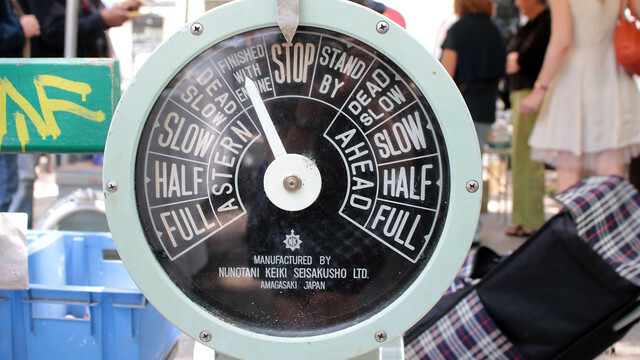 However, on closer look, this could only be something meant for a boat – not sure why but the word “astern” tipped me in the marine-related direction right away – and of course, Google is now telling me that this is a engine order telegraph.